As the mercury drops, it's time to switch to warmer fare and more often than not, cheese is on the menu. Raclette, twice baked cheese souffle, mac and cheese, even the classic cheese board all surge in popularity as winter looms. But unlike many of the ingredients in our fridge, cheese is a living food, so it needs some extra TLC to be at its best. The first step is choosing the right cheese - preferably from a cheesemonger who can tell you where the cheese has come from, how old it is and the best way to treat and store the cheese. There are two key signs to look out for: ammonia and discolouration. Ammonia is a natural by-product of white-mould cheese making says Ueli Berger, technical cheese director at Tasmanian Heritage. But if the sour, vinegar-like smell becomes overpowering it indicates the cheese has over-ripened or been mishandled. 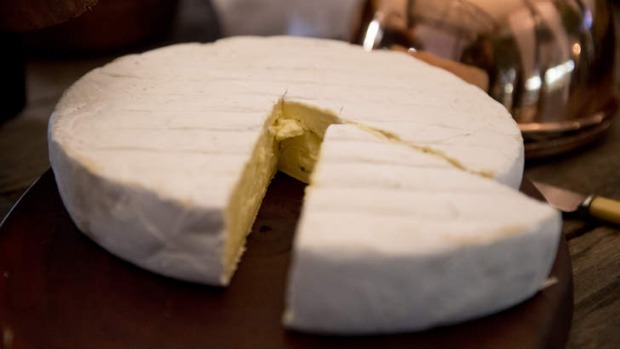 Discolouration is another sign that cheese is starting to dry out, or oxidise, leading to flavour defects. Simple storage techniques can make or break your cheese. Soft cheeses washed rind and blue cheeses should be wrapped in waxy, grease-proof parchment paper. 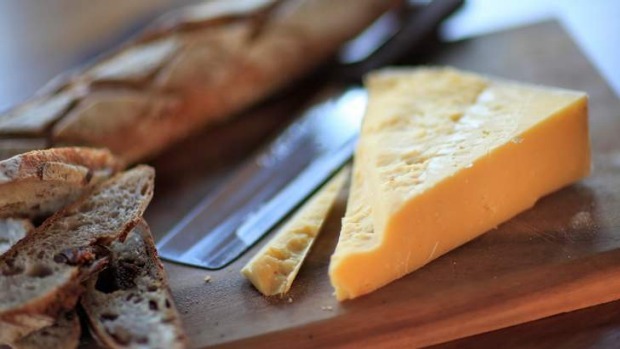 “The wax paper allows the cheese to breathe, otherwise it will start to sweat,” says Berger. Hard cheeses including the Tasmanian Heritage St Claire, recently awarded the 2013 Grand Champion Cheese at the Australian Grand Dairy Awards, can be wrapped in plastic to stop the cheese from drying out. But both soft and hard cheeses should always be stored inside a sealed plastic container to control humidity and protect the cheeses from drying out. “In the drying out process, cheese can actually lose flavour as the loss of moisture changes the structure,” says Carla Meurs, co-owner of Holy Goat Cheeses in central Victoria. “We have a big plastic container in our fridge, lined with a cloth for all our cheeses,” she says, including their own award-winning fresh curd cheeses. What about that special cheese shelf at the top of the fridge? As long as the cheese is inside a sealed plastic container, its position in the fridge is negligible, says Berger. In fact, the vegetable drawer should be the ideal location, as it is the warmest spot in the fridge. “Fresh cheese needs to be stored between zero and four degrees; soft rind or blue cheese between four and 10; and hard cheese can be stored anywhere from four to 15 degrees,” says Carmelo Ocello, co-owner of Formaggi Ocello in Surry Hills. Even with correct storage cheese can develop surface mould. This can be gently scraped or cut, off without impeding the remaining cheese. “Mould only grows on the surface because it needs oxygen to grow, it doesn't grow inside the cheese,” says Berger. “That's why we have to pierce blue cheese to actually let the air in, so the blue mould can grow. It's quite safe to cut the mould off and eat the rest,” he says. “It's about getting back to the food basics,” says Meur. “Bread, wine and cheese are all fermented by mould, bacteria and yeast - it's actually what creates the fermentation and the flavour profile,” she says. Last but not least is the enjoyable part. Before indulging in cheese, or using it for cooking, it should be brought up to 20 degrees, or room temperature. “The moulds actually have lovely flavours that can be very herbaceous or floral, but when the cheese is cold the flavour won't come through,” says Ocello. Small pieces of cheese require at least half an hour out of the fridge, while a larger wheel may need an hour or two. "Buy small quantities regularly, rather than in bulk, to ensure freshness," says Berger. "Make sure you clean your knife after removing any surface mould, so not to contaminate the rest of the cheese,” says Ocello. "It is important to follow the best-before date for fresh cheeses, creme fraiche, yoghurt, mascarpone, mozzarella, ricotta and cottage cheese. For soft rind, washed rind and blue cheeses, the best-before date is only an indication, sometimes it might spoil before that date, or last a long time after," says Ocello. Article originally appeared on www.goodfood.com.au. Written By Olivia Riordan. Words and images courtesy of Good Food.